We kicked off the Christmas promotional campaign, including press releases to local press, regional press and travel trade contacts with the key dates for Christmas events and incentives for shopping. Christmas will be a huge campaign for Cheltenham as we invite, advertise, entice and curate the best of the town to maximise on peak sales patterns. Put together press trips for more than 20 journalists and bloggers who will be in town in October. The itineraries are set and we have included as many members as possible in the different visits to garner maximum attention in the town. More details will be revealed in October so watch this space! Worked with BBC Radio Gloucestershire to showcase Cheltenham and the businesses we have here. Interviews with Kelly Ballard from Marketing Cheltenham, plus a few of the businesses in the town created a lovely overview. Presentation to Birmingham University Lecturers to talk about the strategic plans and visions for Marketing Cheltenham. This also supported the lecturers with applying the theory to the practical, and Cheltenham was picked as a prime example of a growing destination strategy. 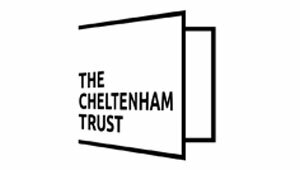 Supported Cheltenham Festivals to help their visitors with travel, and help advise the journalists they bring to the town. Our work included an update of the ‘getting to Cheltenham’ section of the Festivals website, the addition of a ‘getting around Cheltenham’ section, an update to the guides for accommodation, food and drink and parking, content for the ‘plan your visit’ email to visitors and content to go in journalist press packs. This content is seen by thousands of visitors and more than 30 journalists, showcasing the town to its best potential. Revitalised our partnership with National Express to improve the accessibility of the town and the ease of online booking. We’ve also helped to update the National Express website with upcoming events in the town, and a new town guide will also be published on their site in due course. Updated the strategy for the Visit Cheltenham website. The original content strategy was devised in November 2017 to cover the relaunch of the website and six months of content delivery thereafter. Six months on from launch, it has now been updated to refocus the strategy for the next twelve months. Based on current site performance, a tranche of new content is in the pipeline along with significant updates to encourage and increase online bookings, and some design and usability updates to improve the user experience. Started initial discussions with interested stakeholders regarding a food initiative to enhance the town’s reputation as a foodie destination. There are lots of exciting ideas in the pipeline and we will be widening the discussion to include more businesses in due course. Welcomed our new members on board including The Jaguar Landrover Experience at Eastnor, The Bacon Theatre, Cote, Lumiere, Hotel du Vin, No.8 Cheltenham, The Coconut Tree, CJP Cotswold Tours, Cheltenham Science Group, The Looking Glass and of course, John Lewis.